Don’t miss your chance to see the fastest transcript ordering solution − the Next Generation Transcript Experience − for yourself at Ellucian Live on April 7-10 in New Orleans. Visit our 2019 Ellucian Live website for Clearinghouse sessions and more. 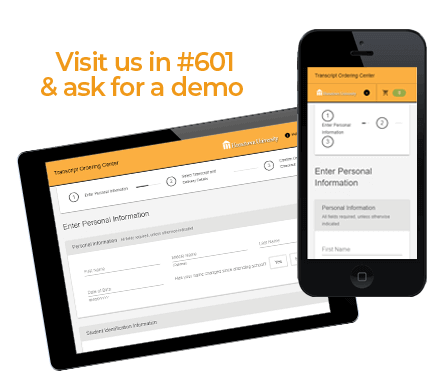 And don’t forget to visit the Clearinghouse at Ellucian Live in booth #601 to see demos of the Next Generation Transcript Experience and our other latest solutions!